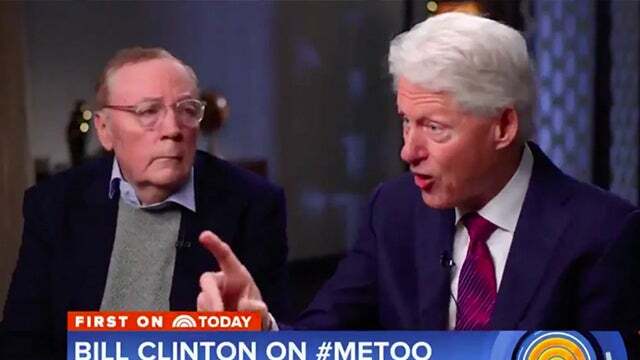 RUSH: Let’s go to the audio sound bites as Bill Clinton attempts to put it back together after his meltdown on the Today Show Monday. Last night he went to The Late Show with Stephen Colbert, who interviewed, or I should say sucked up to, former President Clinton. “Well, I can’t get hold of her. I haven’t talked to her, but I apologized to everybody. I said I’m sorry. What more do you people want? This wouldn’t even be happening if Hillary could have won that damn election. But here I am stuck now. Why don’t you ask Patterson something?” And it went downhill from there. Okay. So let’s go back to 1995. What Clinton did last night is classic Clinton technique that he has used all through his presidency and which we have documented. When he finds himself on the wrong side of something, he joins the criticism of himself and steps outside of himself. “Yeah, I watched me the other night, yeah, I gotta tell you, I could have been better.” So this is from Houston in 1995, campaign fundraiser, there’s a group of wealthy donors down there. “Wealthy” is the key. And this is what Clinton said. CLINTON: Probably people in this room still mad at me at that budget ’cause you think I raised your taxes too much. It might surprise you to know that I think I raised ’em too much too. RUSH: Now, this was not intended to get outside that room. This was not a public appearance. This was with donors. And those are always behind closed doors. You remember Romney said during his campaign that he knew 47% of the country’s a bunch of welfare bums who are never gonna vote for him. Slate or somebody snuck a reporter in there and videotaped it. These things that reporters — they’re not allowed. This was not intended for public consumption. And it got out, and there was hell to pay. Because here was Clinton telling the truth to wealthy donors that nobody else could hear. So now let’s go back. 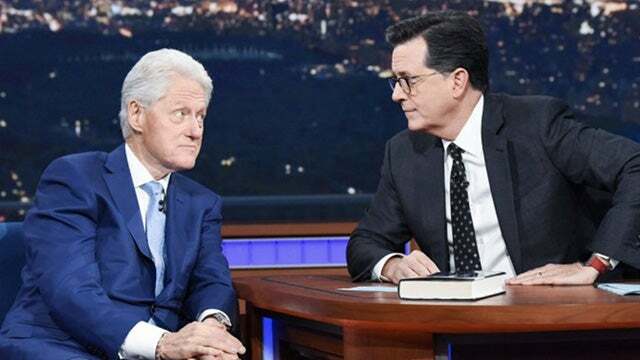 Now that we’ve demonstrated that Clinton has an age-old technique of joining the criticism of himself, we go back now to The Late Show with Colbert, and Clinton continues his answer. RUSH: (interruption) Now, wait a minute. (laughing) He’s… Oh, they were clapping. Yeah, they were clapping. This is the point. He still supports the #MeToo, even though he’s one of the reasons for it! (impression) “I support the #MeToo movement.” He didn’t do any of this stuff! Despite the fact he’s apologizing, in his mind, he didn’t do any of this. (interruption) Bill Cosby should have tried it? Cosby doesn’t have the ability Clinton does, and Clinton is losing the ability to lie as effectively as he once did. But let me tell you why I like this. Take your pick of female journalists who are in their fifties and sixties. They still look at Clinton with dreamy eyes and imagine, “What if! If only me.” They say, “What did Hillary have that I don’t?” Don’t… Folks, do not doubt me on this. Nina Burleigh of TIME magazine openly published wrote that she would willingly give Clinton Lewinskys every day as thanks for keeping abortion legal. Do not doubt those of us who were there when all this was happening. 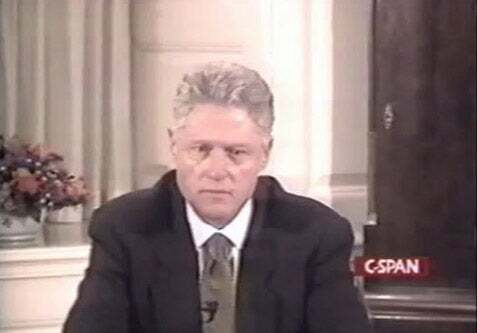 And I’m telling you, the female press corps and the White House press corps back then had dreams of Bill. Lewinsky was not the only one. They were jealous of her, after a fashion. But I’m watching Marie Harf, and she’s disgusted, and she doesn’t want any part of this. She hates the fact that this is still in any way something that identifies the Democrat Party. And she was saying (summarized), “We’ve gotta stop looking back. The Clintons have poisoned this party. They have had too much control over this party for too long, and it’s time we broke away from. “It’s time to move on from it.” And I admit, I admit, it’s rare to come across any Democrat with an attitude like that about the Clintons. I mean, they’re becoming… There’s more and more of them, and they’re young. They’re in the Millennial demographic. But this resentment that these people are still sucking up all the oxygen in the Democrat room? We should be applauding it. I mean, how great is it that the Democrats are trying to make all this hay on the #MeToo movement, and here’s their hero! CLINTON: These midterm elections are important, and the only people that really matter are not me. It’s you. CLINTON: And one of the main reasons this country is as polarized as it is, is that ever since the Gingrich revolution, we started having Republicans move hard to the right; then redistricting. Everybody worries more about the primary, President Obama, I think… I think he did a really good job. But I think he could have done even more if all of us who voted in 2008 and 2012 for him had also voted in 2010 and 2014. RUSH: I lost the microphone, folks, right as the Slick Willie bite was ending, talking about (impression), “He had Vladimir on his side 2016.” What a cheap shot. So, anyway, that’s Clinton, and he’s trying to sell a book. And I don’t think he ever believed that he would encounter this kind of thing from the Drive-By Media. And of course Colbert, that was just a total do-over. It was an opportunity to redo come the damage or limit it.